Despite their not so great sales figures in most regions across Asia and South-East Asia, the American manufacturer sure has a lot of fans among the Filipino buyers. 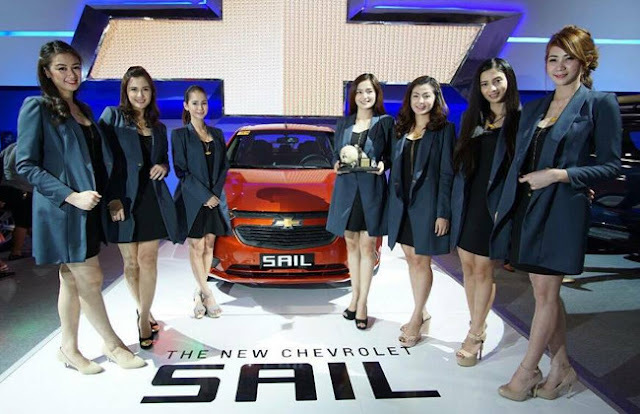 Being one of the largest market for the General Motors owned brand, Chevrolet Philippines sure wants to secure its position in the country by introducing their own B-Segment competitor, the 2016 Sail. Although the world is going bonkers over the latest SUV models that are being literally thrown in autofans faces, the Philippines is proving to be one of the biggest market for sedan styled cars. Hence it is clear that if an automobile manufacturer wants to set their foot in the country, the safest choice for them is the B-Segment sedan. The current leader in this particular segment is indeed the Toyota Vios, which alone has sold more than 50,000 copies. So it is also pretty evident that the Sail will have to face an extremely fierce competition, not only from the Vios but with other new models such as Honda Brio Amaze and Mitsubishi Mirage G4 etc. Chevrolet too is closely following Toyota’s footsteps with their entry-level sedan as it is available with a choice between 2 engines. Just like the Vios, the Sail 2016 comes with a choice of a 1.3-litre and a 1.5-litre drivetrain, that will attract a large number of buyers. The Chevrolet Sail was unveiled along with other new models such as Colorado, Trax and the new Trailblazer at the MIAS 2016. Although the event didn’t see a lot of crowd attention as compared to previous years, the arrival of the Sail is surely a great news for the Philippine buyers. The 1.3-litre variant produces a decent 99 hp and is expected to be Chevrolet’s ace that will drive a huge amount of sales for them this year. The 1.5-litre mill on the other hand is available with their top end variant that produces 109 hp and a 4-speed automatic gearbox. Already a big hit in the Chinese market, the 2016 Sail has also won several accolades for its superior fuel economy and body design that can rival the looks of a couple C-segment models. The price range has also been kept pretty affordable as compared to the competitors and the 1.3-litre model will be available at an approximate price of Php 688,888 whereas the 1.5-litre model starts at Php 768,888.